You cannot survive for more than a few days without water, which makes it the second most important substance in your body, next to oxygen. Water makes up the majority of your body weight and is essential for human life. Maintaining adequate water intake is essential, even if you get your fluids from a source other than pure water. Water can be found in many different parts of the body. Water is one of the main constituents of blood, KidsHealth explains, which is needed to transport oxygen and other nutrients to tissues throughout your body. Water is found in lymph, which is a part of the immune system, and is also important for the function of the digestive tract. 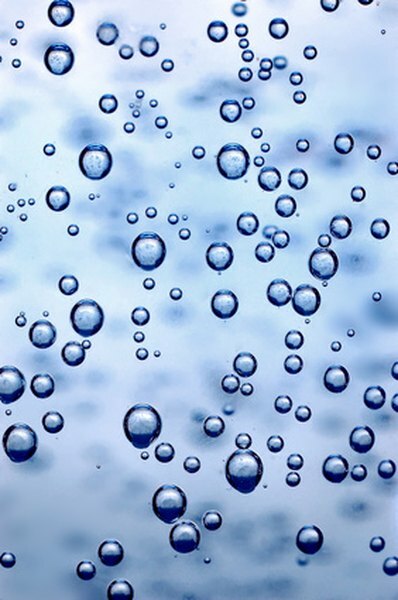 Water is also found both inside and outside of all cells in the form of the intracellular and extracellular fluid. Other uses for water include sweat and urine. There is no set amount of water that you need each day because everyone has different amounts of fluid that they consume each day based on factors such as size, gender, and how much fluid you lose through sweating and urinating. MedlinePlus recommends that you drink six to eight 8 oz. glasses of water each day. In addition to drinking glasses of water, you can get water from eating foods such as fruits, soups and beverages. Your body is able to control how much water it contains through thirst and by changing the volume of your urine. As the National State Biomedical Research Institute explains, your kidneys control how much liquid goes into your urine in response to several different hormones, including anti-diuretic hormone. Anti-diuretic hormone, also known as vasopressin, is secreted when you do not have enough water in your body, and this causes your kidneys to reduce your urine output. Vasopressin also stimulates your thirst response, making you want to drink water. If you take in less fluid than your body needs, you can become dehydrated, explains MedlinePlus. Mild dehydration can cause your mouth to become dry or sticky, make you thirsty, make you tired, and give you a headache. Severe dehydration causes extreme thirst, dry mouth and skin, very little or no urine output, sunken eyes, and very low blood pressure. To treat dehydration you need to replenish your body's water reserves, either by drinking fluids or by receiving fluids intravenously, which may be needed in cases of extreme dehydration.